In an interview with CNN, Judah Samet, an 80-year-old Holocaust survivor, said that when he was only seven he saw a Nazi soldier holding a gun to his mother's head after she spoke without permission while his family was imprisoned in the Bergen-Belsen concentration camp in northern Germany. Last Saturday, Samet managed to survive again after coming out of the Pittsburgh synagogue massacre alive. 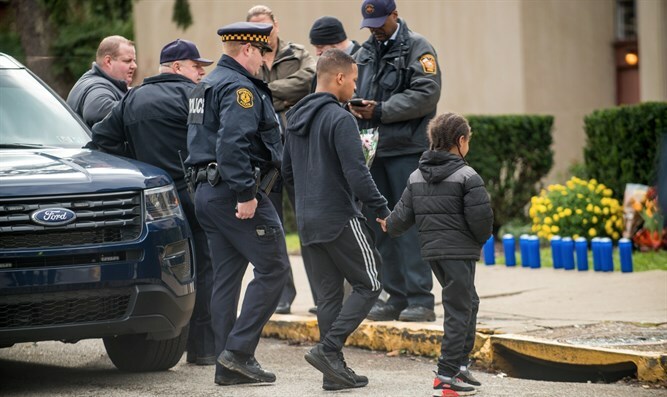 He said that for the first time in decades he was four minutes late to the synagogue, and when he reached the entrance to the synagogue, he heard the exchange of gunfire between the murderer Robert Bowers and the policemen who were called to the scene. Samet said in the interview with CNN that the Nazis came to his family's home in Hungary during World War II and put his family on a train to Auschwitz, but they were later transferred to Bergen-Belsen. "In Auschwitz you arrived, in 50 minutes you were dead. You came out the smoke stacks. But in Bergen-Belsen, they killed you by the method of starvation." Samet said. "But my mother saved us all. She divided the rock-hard bread, she broke it down into little pieces and she fed us six times a day." After fleeing the horrors of the Holocaust, Samet enlisted in the IDF and served as a paratrooper.